DaVita is one of the leaders in the industry of kidney care in the USA. The company runs a number of different services devoted to improving the health of people with kidney related issues. To find out how to apply for DaVita online, follow the link at the bottom of the page to submit your DaVita application. The company was originally founded under the name of Total Renal Care and focused mainly on dialysis. After some restructuring in 1999, the company came back with its current name and vastly expanded its services and locations. Now, DaVita has over 1,500 clinics along with various partnerships providing services for its patients. Its services are no longer limited to dialysis. They also run a community outreach program aimed at educating people on different kidney related diseases and how to prevent and treat them. In addition to this, they give advice on lifestyle and diet choices that can drastically reduce your chances of developing kidney problems. There are now over 53,400 employees working for the firm in many different capacities, including in its headquarters in Denver, Colorado. It has also recently begun to expand overseas, with partnerships opening up locations in 11 different countries across Asia, Europe and Latin America. Many of its employees also take part in its annual charity bike ride, ‘Tour DaVita’. 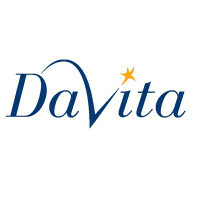 There are many different DaVita jobs available, both medical and non-medical. The most common positions available on the medical side are for Nursing Staff, Patient Care Technicians, Biomedical Technicians, Laboratory Service Specialists and Medical Technologists amongst others. For careers in nursing you will need to have already graduated and be a registered nurse (RN). There are also job opportunities that do not require medical knowledge in their centers including Front Desk Receptionists, Facilities Administrators and Customer Support Representatives. Also in DaVita jobs on the corporate side there are openings in the departments of Accounting and Finance, Training and Education, Legal, Marketing, IT and others. How old do you have to be to work at DaVita? You must be at least 18 years old or over to apply for jobs at DaVita. Their clinics and facilities are open every day of the week from 8am to 7pm. As one of the largest companies of its kind in the US and expanding internationally, DaVita careers bring a lot of benefits to its employees in the different opportunities for career development and advancement. In addition to that, employees also gain from the various healthcare plans available, 401(k) retirement plans, flexible spending accounts and paid time off. Acute Dialysis RN – DaVita jobs include a number of different nursing roles and as a nurse your primary focus will always be patient care. You will need to be able to clearly explain the procedure to the patients and carry out the necessary tasks including preparing the solution, administering medications and operating the dialysis machinery correctly. The average pay for this job is $36/hour. Clinical Coordinator – In this role you will supervise the clinic and ensure all nurses are carrying out their jobs correctly and that all the patients are adequately cared for and have everything they need. As the senior nurse you will need to have good leadership and interpersonal skills. The hourly pay for this role is up to $38/hour. Patient Care Technician – The responsibilities of a Patient Care Technician are mainly to monitor the various different parts of the dialysis machinery and record the statistics. There is also a certain amount of patient care and communication involved so you will need to have good communication skills. The pay is between $11-18/hour. Dietitian – As a Dietitian you will help to advise the patients on the best ways to stay healthy through eating the right foods. You will need to be able to explain clearly what patients should expect from the diets that you recommend and the best ways to achieve their dietary goals. The salary for this position is usually $20-35/hour. To give yourself the best chance of employment after you submit your DaVita application, prepare for the interview by practicing some questions. Why do you want to work with us? This is very likely to be the first question you’re asked, so in order to be prepared, do some research on the company before you go. That way you can give a full answer detailing what you like about the company and the job description of the role you’re applying for. How would you calm down a distressed patient? If you’re working in a patient-facing role, even if your job role isn’t medical you may need to deal with patients who are difficult or need calming down. You need to show the interviewer that you can manage this kind of situation professionally. Which one of our core values do you identify most with? The company takes its core values very seriously, so make sure you know what they for starters. Be prepared for this question and explain your answer fully, there’s no right answer. Search for DaVita jobs online to browse the many different jobs that they are currently hiring for and to see where you local clinic or facility is. The best way to submit applications is by completing a DaVita job application online by filling in their online application form. You can make a direct application for any position for which you meet the necessary qualifications. You can’t download a printable application for DaVita but for some non-medical entry-level positions you may be able to request a free application form by going to a center in person with your resume. However the best way is to apply online as most applications will be processed at their headquarters. For most positions you will have a phone interview first which will most likely be fairly informal and is just a chance to get to know a bit about you and your experience. The company’s website has interview tips on its careers page so read through them beforehand, or maybe even have the page open while you’re on the phone. After that you will be asked for a face-to-face interview, which include more in-depth questions. You will also be given a brief tour around the facility so you can get to know a bit more about the company and what the job entails. Make sure you go in with questions of your own prepared to show your enthusiasm. Chevrolet: For career opportunities, fill out the Chevrolet online application. O’Reilly Auto Parts: See our resource page for more information on O’Reilly Auto Parts careers. MAACO: For employment at MAACO visit the application page. McKesson: See our guide for careers at McKesson. Budget Car Rental: Budget Car Rental offers opportunities for both, beginners and experienced roles.